While many think of Pinterest as the site moms use to save casserole recipes and wreath making tutorials, there is much more to it than meets the eye. Although it’s true that 85 percent of the 100 million active users on Pinterest are women, the five-year-old “visual bookmarking and discovery platform” boasts an incredible amount of resources that nobody should ignore. 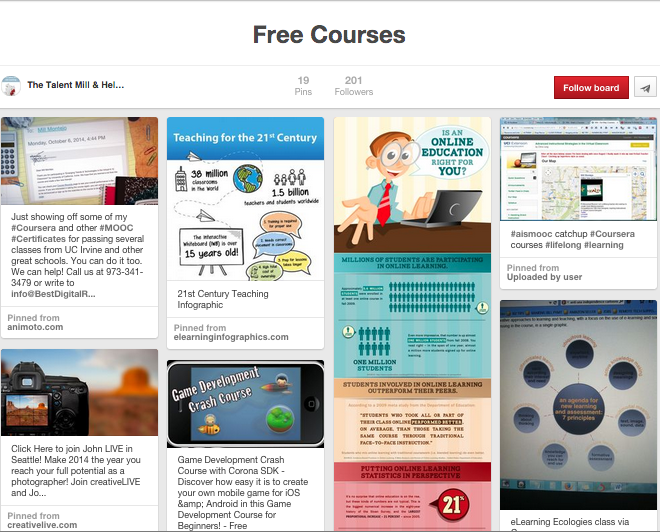 One of the lesser discussed uses of Pinterest is its ability to help you with your career. 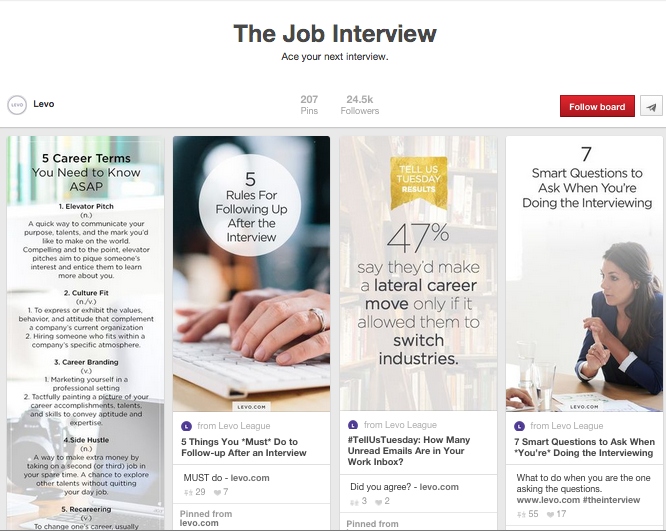 Whether you’re updating your resume, trying to find a job, or in need of career advice, Pinterest has an overwhelming amount of resources available. 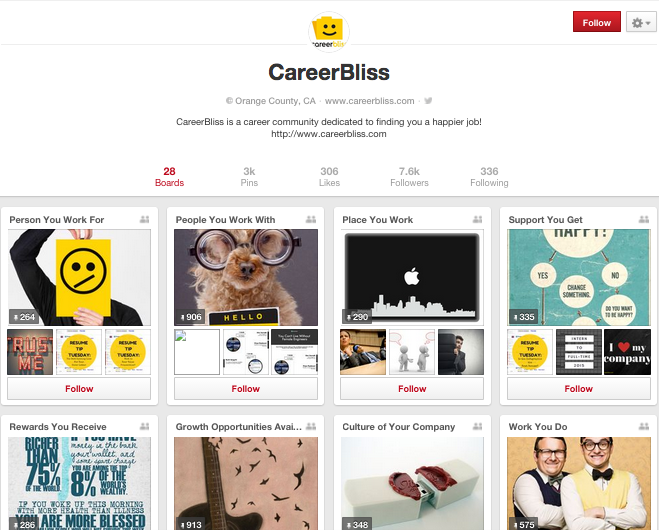 We’ve dug through the best pinboards, Pins, and Pinners to round up the ways Pinterest can help you stay pinspired as you navigate your career path. A major appeal of social media is the ability for users to connect with celebrities, influencers, and top experts in any field—Pinterest is no exception. Many career experts are using the site to share and consolidate their knowledge, resources, and expertise that will no doubt help you navigate the job world. You can find information on a variety of topics, such as: how to find a job, how to negotiate a salary, what to wear to your job interview, networking tips, and countless others. 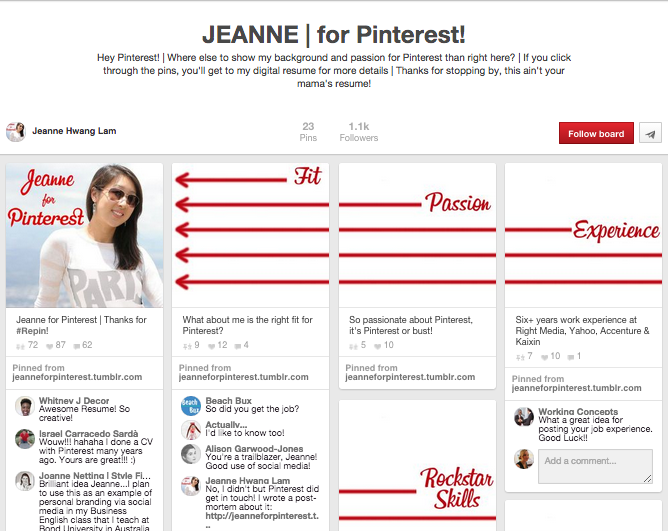 One of Pinterest’s biggest draws is its abundance of how-to and DIY content. While that vegan cupcake you learned how to make on Pinterest was great, the site has so much more to offer in the way of teaching you new career skills and knowledge. 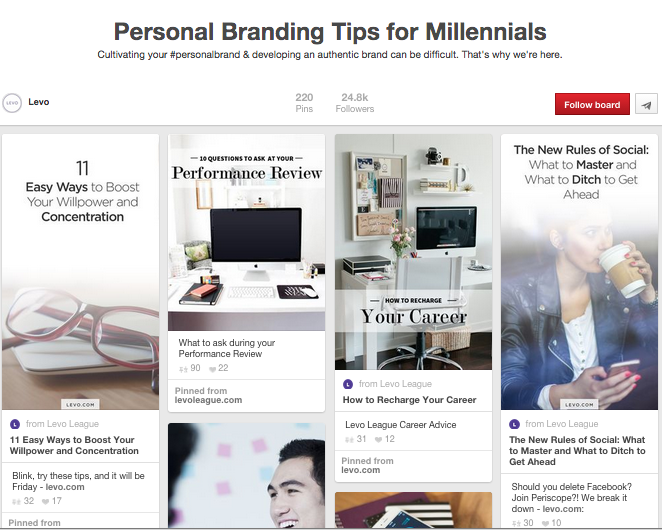 Especially interesting is the fact that in creating your personal brand on Pinterest, you can help drive traffic to your professional website. 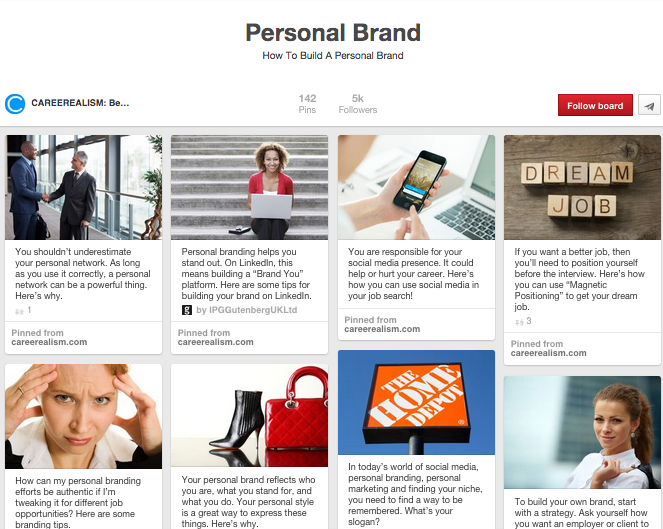 Pinterest drives more traffic than LinkedIn, YouTube, and Google+ combined, so Pinning your own content to build your personal brand is not a bad idea. 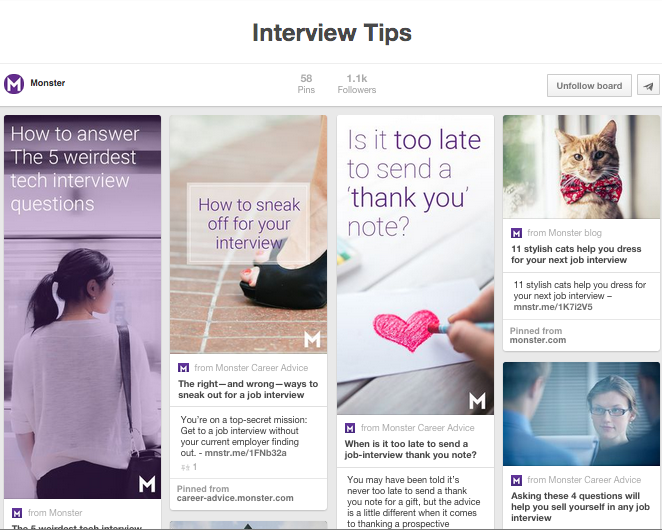 For example, if you are a writer, creating a board of your best articles that link directly back to your site takes advantage of Pinterest’s high discoverability. If interested in taking this to the next level, you can sign up for a Pinterest business account and have access to their built-in analytics here. You will be able to see your top performing Pins, metrics, and website insights, which can prove invaluable for not only building, but growing your personal brand. Make a reading list. 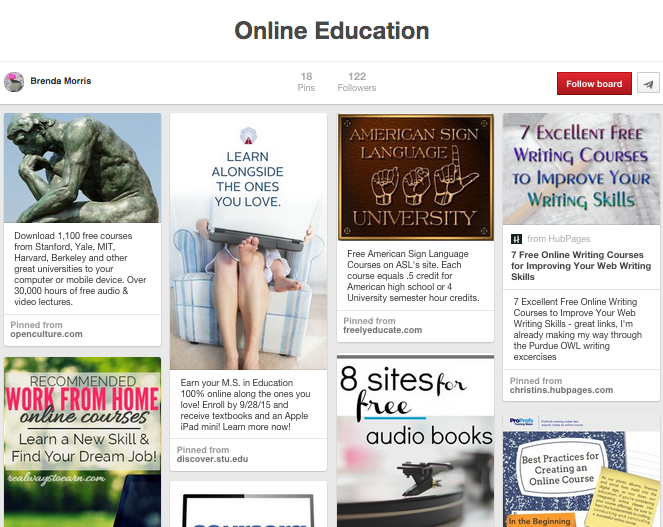 Create pinboards and Pin around what you are currently reading, or books and pieces you have previously enjoyed. This can help present you as a knowledgeable professional. Showcase your personal taste. 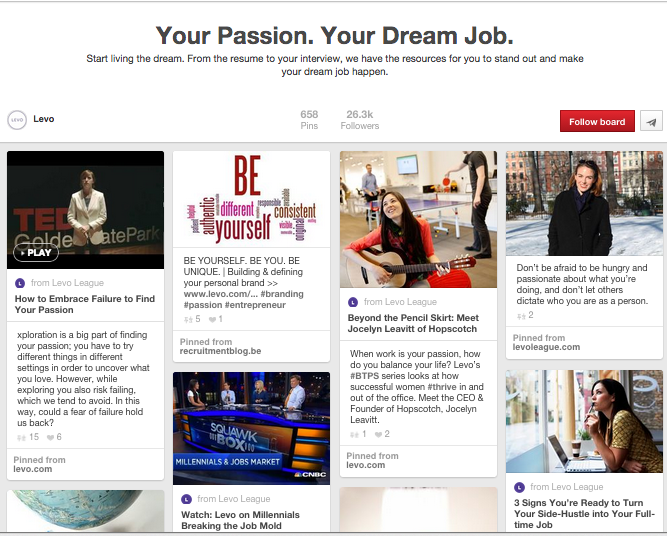 The unique way you curate your pinboards and the content you choose to Pin reflects upon your overall personal brand. Ensure your Pins are high quality, innovative, and aesthetically pleasing, and allow your brand to be humanized by the content you have curated. 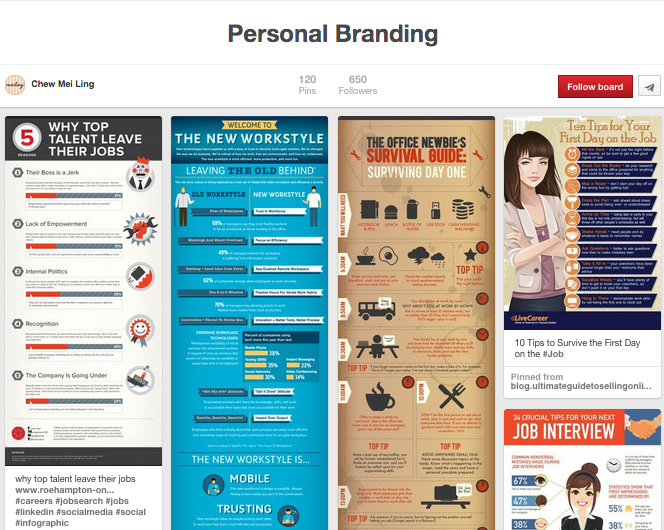 Create a visual resume. 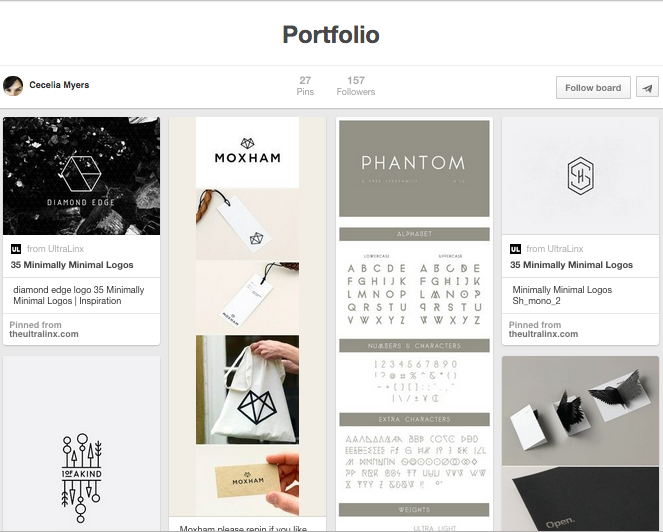 As discussed above, many are using pinboards as a visual representation of their work. If your work could benefit from this type of resume, it’s a surefire way to majorly contribute to your personal brand. Cross promote. 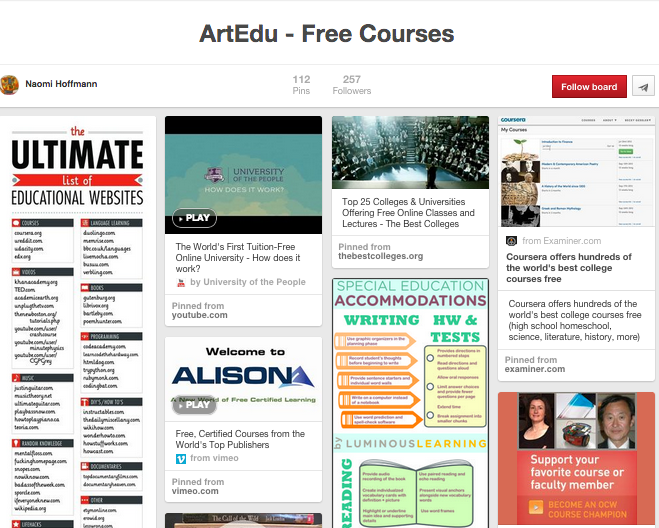 Use your social media accounts to share links to your Pinterest boards, and vice versa. A great way to do this is to take advantage of the ability to Pin Instagram posts, which will drive traffic to your Instagram account and website, and contribute to your personal branding efforts. Now that you have that resume perfected and those interview questions down pat, take a look at our careers page here to see current job openings!